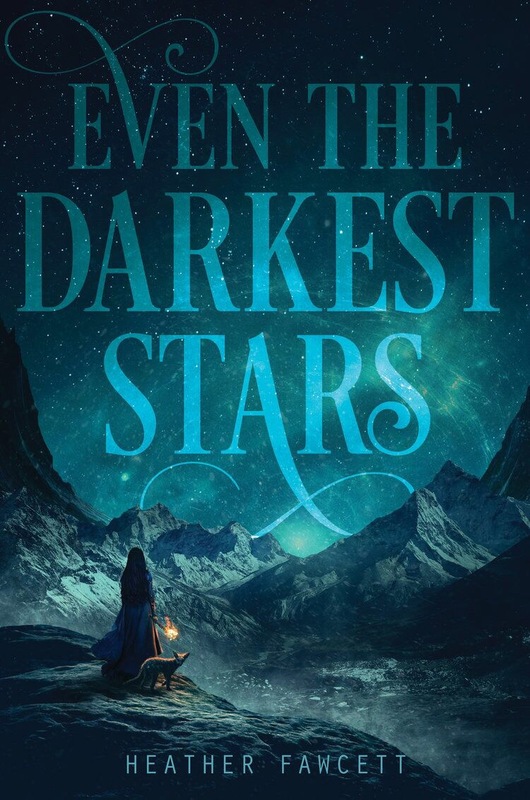 Today I am hosting a review stop for the lovely new novel Even The Darkest Stars. Make sure to check the tour schedule at the end of this post for more posts about this novel! Also, read to the end for a giveaway! Set in a fictional Himalayan kingdom, this is the story of a girl enlisted by a legendary explorer to help him climb the kingdom’s deadliest mountain – only to discover that his true mission may threaten her whole world. But everything changes when the mysterious and eccentric River Shara, the greatest explorer every known, arrives in her village and demands to hire Kamzin—not her older sister, Lusha, as everyone had expected—for his next expedition. This is Kamzin’s chance to prove herself—even though River’s mission to retrieve a rare talisman for the emperor means cimbing Raksha, the tallest and deadliest mountain in the Aryas. Then, Lusha sets off on her own mission to Raksha with a rival explorer, and Kamzin must decide what’s most important to her: protecting her sister from the countless perils of the climb or beating her to the summit. The challenges of climbing Raksha are unlike anything Kamzin expected—or prepared for—with avalanches, ice chasms, ghosts, and other dangers at every turn. And as dark secrets are revealed, Kamzin must unravel the truth about their mission and her companions—while surviving the deadliest climb she has ever faced. To start, this cover BEAUTIFULLY depicts the story inside. Seriously, I don’t think I’ve seen a story so wonderfully painted on its cover in a long time. I really liked this little novel. It was a quick read for me, but in the best way. I was able to devour the world and the characters, and was constantly being pulled around by plot twists. I felt encapsulated in the unique fantasy world, and was speeding along with the characters through the adventures. The writing was very charming. It was modern, in almost an urban fantasy way. If the world itself had been a bit more modernized, I definitely would say urban fantasy, but it’s not quite. The world itself was also really unique! It didn’t fit the mold of the typical fantasy novel, but it still wasn’t trying too hard. It felt real, and it made me feel like I was watching the world unfold. My only questions would have been on the magic types being described. I felt like there wasn’t much differentiation between everything – like what made witches any different from the shaman? I really couldn’t tell. What controlled or dictated the magic being used, and who was most naturally powerful? It was kind of brushed over in the story, but it was certainly not the focus. Perhaps I would’ve figured it out with a reread, but it wasn’t obvious to me at first glance. However, the novel was beautiful! My favorite character was very much the little fox, and I can not tell you how emotionally invested I was into him *angry fist at the sky*. The concept of certain people being born with special animal bonds was epic, and I was super into it. I’m surprised I had never seen it before, and am super jealous I don’t have a bond with cats (well, I do, but it’s more that I’m obsessed with them, and they ignore me). The use of animals, mythical and real, was really wonderful in this story; and I think that added to the realism. I was born and raised in Vancouver, Canada, where I enjoy wandering around in the wilderness and only occasionally getting lost. I’ve also spent extended periods of time in Italy, where I learned very little Italian but ate quite a lot of pizza, and Ireland, where I searched half-successfully for puffins and selkies. Before becoming a writer I worked, among other things, as an archaeologist, a technical writer, and a backstage assistant for a Shakespearean theatre company (which I could write several novels about). I have a Master’s degree in English Literature and briefly considered becoming a professor, before I realized it involved more than reading books, drinking excessive amounts of tea, and wearing colourful elbow patches. I’m represented by the amazing Brianne Johnson at Writers House. EVEN THE DARKEST STARS, my first novel, was purchased by HarperCollins/Balzer+Bray at auction in a six-figure, two-book deal. Be sure to check out all the other stops on this book tour! 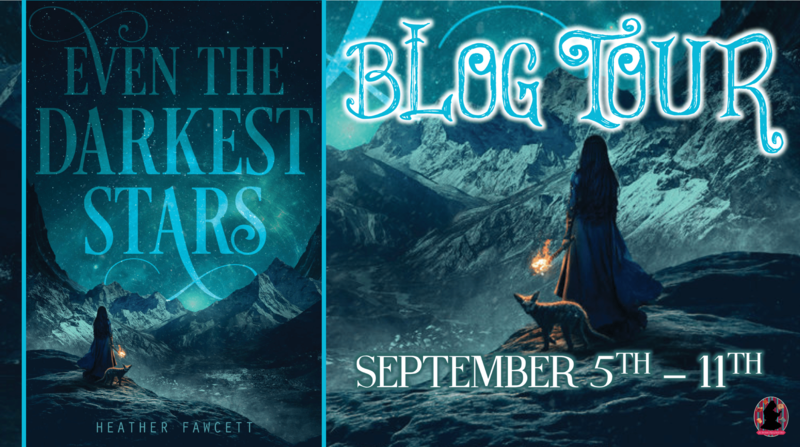 Giveaway is signed bookplates for EVEN THE DARKEST STARS and a kinnika necklace that is modeled after the talisman in the book. US Only.